Cybersecurity Awareness Training | SENSEI ENTERPRISES, INC. Your employees are your greatest assets. They are also your greatest cybersecurity risk. They move too fast, they wire monies via fraudulent email instructions without double-checking those instructions and they click on attachments and hyperlinks which result in malware being downloaded – all invisible to the employee. The internet is rife with dangers. Electronic communications are a business lifeline, but fraught with peril. How can you create a culture of cybersecurity among your employees that will work with your technology to protect your data to the greatest possible extent? Employee cybersecurity awareness training is critical. We recommend that you train at least annually because the threats, and how to deal with them, is an ever-changing world. And new regulations/laws are constantly coming into play. Do your employees know what to do to comply with the requirements of PCI, HIPAA or Sarbanes Oxley? Sensei Enterprises provides cybersecurity awareness training to companies of all sizes and industries. Training sessions can be done in-person (recommended where possible) or remotely via webinar. We suggest a one hour training session that is fast-paced and includes real life stories which hold the attention of the audience. The content can be tailored to meet your specific requirements. 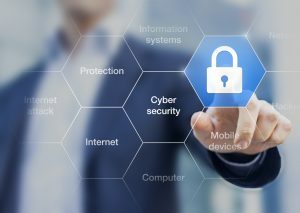 Standard topics include safe computing best practices, phishing, physical security, password security, ransomware, encryption, safe computing on the road and much more. Interested in scheduling a cybersecurity training session for your company? Please contact Director of Cybersecurity Mike Maschke by email at mmaschke@senseient.com or by phone at 703.359.0700.